It's 07:00 when my alarm goes of, time to get up and head to the airport where I"ll be flying to Tokyo through Helsinki with Finnair and Japan Airlines. After arriving in Narita airport a good 15 hours later, I headed to my hotel and set out to get the basic trip supplies such as a data simcard and coffee in Ikebekuro a few train stops away from my hotel. 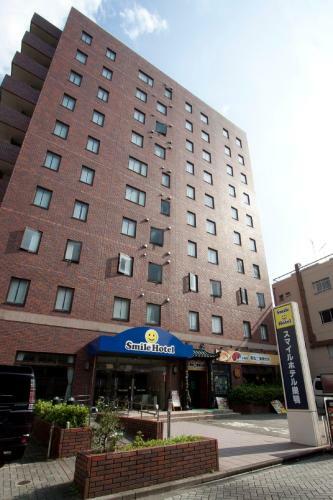 A 2-minute walk from JR Sugamo Station, Smile Hotel Sugamo offers a 24-hour reception, free WiFi at the lobby and a launderette. On the way back I decided not to take the train but walk through the neighbourhoods and it wouldn't be Japan if you don't stumble upon a temple every now and then. After a short nap I wandered around the neighbourhood and found myself in an alley near a temple where they had all kinds of stalls with street food. Due to the jetlag I wasn't keen on getting a full dinner so these Takoyaki (octopus ball) were perfect!